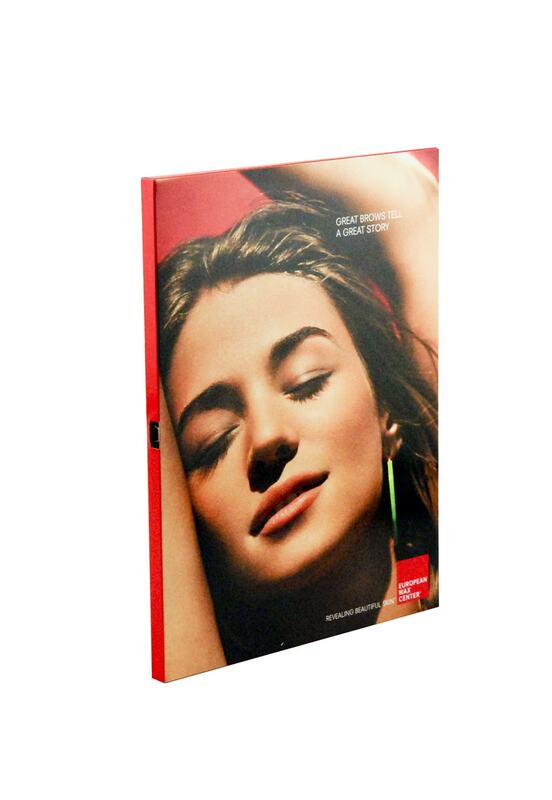 European Wax Center, the world’s largest wax center brand, was looking to promote its eyebrow services to customers at its retail locations. 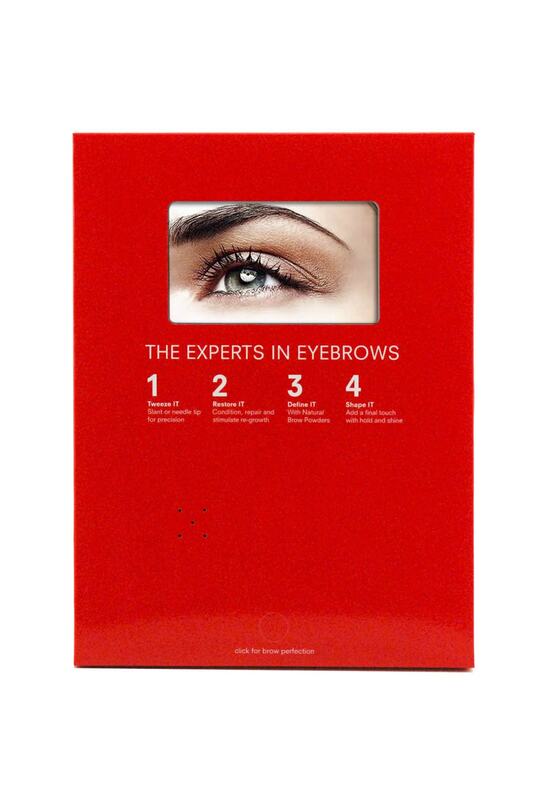 Being “the experts in eyebrows”, EWC wanted to show customers their 4-Step process as well as their new eyebrow product line. 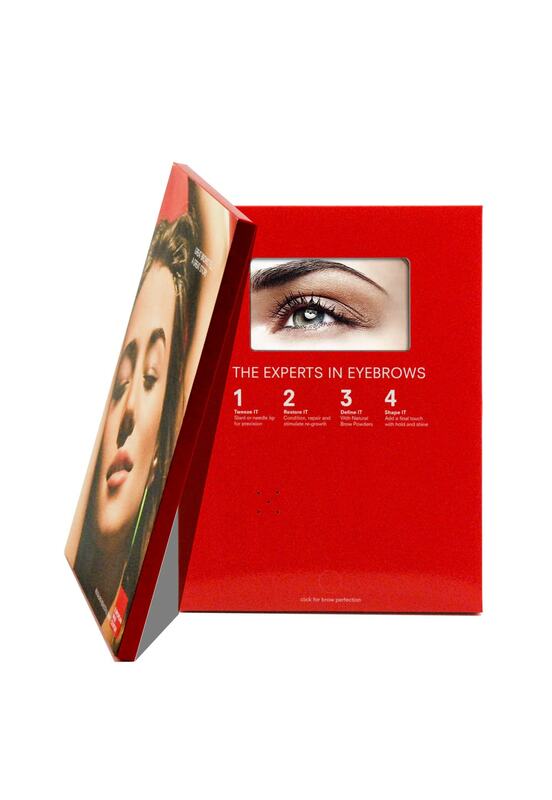 With the goal of increasing sales of eyebrow services and EWC products, an innovative and engaging sales-aid was needed to quickly spread the word that EWC was the place to go for perfect eyebrows. Americhip worked with EWC and its ad agency to develop and produce a simple yet sophisticated video book to be given out at its retail locations. 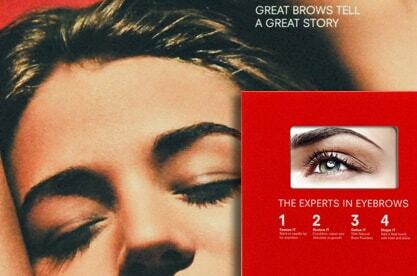 The book played a quick video on EWC’s 4-step eyebrow procedure that also explained the importance of using specific EWC products in each step. EWC’s customers were now aware of the services and were also educated on the product line. As the video books were distributed, they were also passed along to friends and family which widened the reach and further increased awareness. With Americhip’s Video in Print Technology, EWC was now able to educate and influence its customer base, leading them to “brow perfection”.